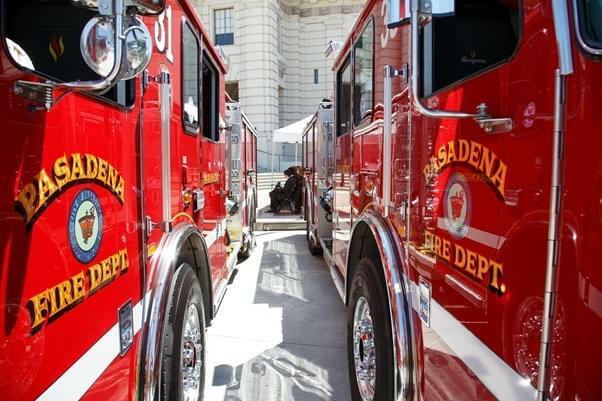 HOUSTON (May 08, 2018) – The Pasadena Fire Department, a California city northeast of Los Angeles, has switched much of its fleet of apparatus from operating on petroleum diesel to using Neste MY Renewable Diesel™. The department currently operates one truck, four engines and four Rescue Ambulances on renewable diesel and plans to transition all remaining apparatus to renewable diesel by 2019. Neste MY Renewable Diesel is a low-carbon fuel produced from 100% renewable and sustainable raw materials. This premium diesel cuts greenhouse gas emissions by up to 80% and significantly reduces engine-out emissions, all while enhancing fleet performance. Unlike biodiesel, Neste MY Renewable Diesel is a drop-in fuel that requires no blending and is compatible with all diesel engines. IPC (USA), Inc., headquartered in Santa Ana, California, is the exclusive distributor of Neste MY Renewable Diesel to the Pasadena Fire Department. Using exclusive distributors ensures supply chain integrity and guarantees the high quality of the fuel. Neste in brief Neste (NESTE, Nasdaq Helsinki) creates sustainable solutions for transport, business, and consumer needs. Our wide range of renewable products enable our customers to reduce climate emissions. We are the world's largest producer of renewable diesel refined from waste and residues, introducing renewable solutions also to the aviation and plastics industries. We are also a technologically advanced refiner of high-quality oil products. We want to be a reliable partner with widely valued expertise, research, and sustainable operations. In 2017, Neste's revenue stood at $16.2 billion. In 2018, Neste placed 2nd on the Global 100 list of the most sustainable companies in the world. Read more at www.nesteMY.com.